At the Gamble Ranch, all of the animals have a special talent. All of them, except for Centurion and Emperador, two baby horses delivered by a couple of confused storks lost in a storm. When the ranch owners decide they'll grow up to be race horses, Centurion and Emperador do their best to be the best. Unfortunately, what they prove to be best at is anything but racing! 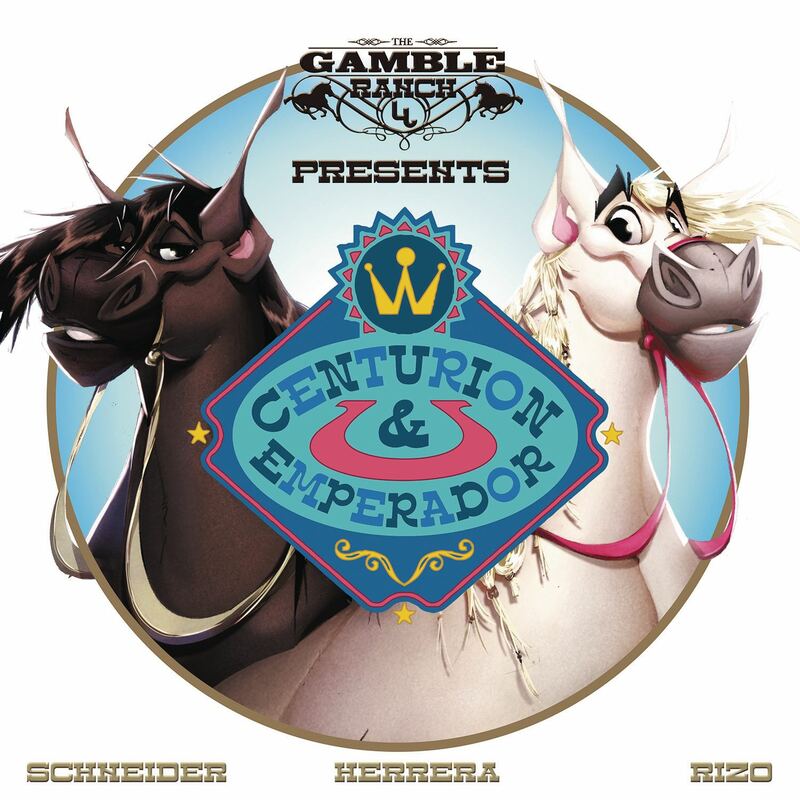 An adorable story about finding and embracing your passion, written by actor-comedian Rob Schneider and his wife Patricia, illustrated by Disney and Marvel artist Francisco Herrera, based on the real life dancing horses at the Gamble Ranch!